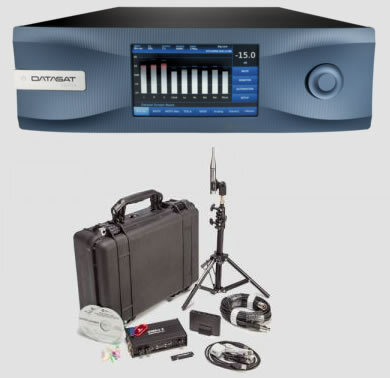 Leaders in the world of digital cinema audio processors for nearly 20 years, Datasat pioneered the development of digital audio for the cinema industry. They have been delivering high quality, immersive digital surround sound to theaters worldwide and they're now bringing the same innovative, professional digital audio processing technology into home cinema. 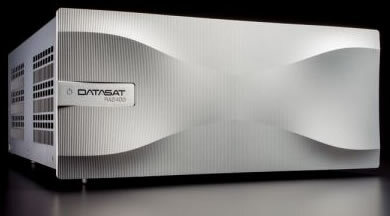 The Datasat RS20i is the first home cinema audio processor to be built on the same technology platform used in professional cinema to deliver unbeatable sound quality. The Datasat RA7300 Multi-Channel Power Amplifiers bring a new level of quality and flexibility to high-end home theatre and multi-channel music systems. Perfect for anything from small media systems to dedicated top of the line home cinemas or even to outfit an entire home or estate, its advanced circuitry and careful design delivers one of the industry's most powerful, versatile and quietest power amplifiers. The fully balanced differential design of the RA7300 doubles amplifier speed (slew rate) while reducing noise by 50%. Dual thermal sensors control very low speed fans with substantial heat sinks. The fan only operates when program material requires additional cooling to ensure fan noise is always masked by the content. In addition, dual DC servos ensure DC offset is minimised and thermal track transistors maintain the amplifier at its optimum bias point independent of its temperature. The result is consistently low distortion and extremely quiet operation that provides highly accurate and refined music and soundstage reproduction. The RA7300 can support the latest multi-channel digital surround sound formats for outstanding audio quality even in the most demanding operating conditions. The RA7300 is designed to be versatile and is rated for 4 and 8 ohm loads. With a rated output of 300 watts RMS into seven channels at 8 ohms, the RA7300 is powerful enough to deliver consistently excellent performance in any system. User selectable for any of 8 channels from DB25 input connector via rear panel gold-plated sealed DIP switches. Fully balanced design utilizing thermal track, current feedback and DC Servo. The Datasat RA2400 Stereo Power Amplifier combines innovative design with advanced circuitry to deliver outstanding audio performance. 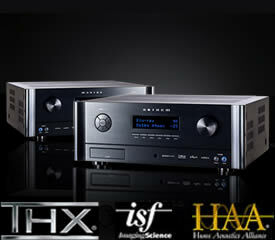 Ideal for high quality home theatre installations, sound reproduction is refined and pure. 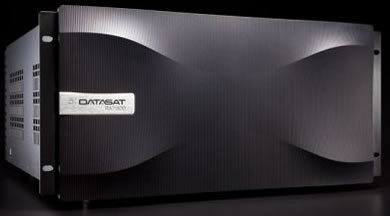 Datasat has produced one of the industry's quietest and most powerful 2 channel stereo amplifiers. The fully balanced differential design of the RA2400 doubles amplifier speed (slew rate) while reducing noise by 50%. It uses current feedback to increase amplifier speed while dual mono design ensures each channel is completely independent with separate power supplies. This minimises crosstalk, noise and distortion. The Datasat RA2400 features a unique amplifier design using 940 small storage capacitors situated close to the output transistors for faultless operation. With up to 20 output devices per channel, each channel of the RA2400 has its own specifically designed bridge rectifier for smooth AC to DC conversion. Any number of Datasat RA2400 amplifiers can be operated without thermal issues - the amplifiers are maintained at their optimum bias point independent of their temperature. 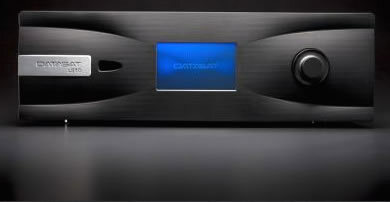 All parts within the amplifier have no thermal limitations. It's fully integrated power supply for the input stage features 7 independent regulators for continuous operation. Delivering extended versatility, the Datasat RA2400 produces 400 watts of power rated at 8 ohm loads. For high power performance at low impedance, it is capable of continuous operation at 600 watts rated at 4 ohms. The RA2400 and RA7300 amplifiers are designed to complement Datasat's RS20i high-end audio processor providing the ultimate listening experience for luxury home cinema.